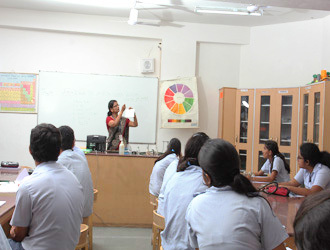 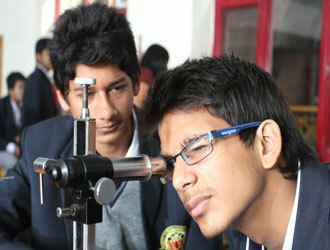 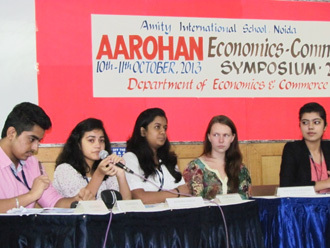 At Amity we adopt modern outlook towards educating our students. 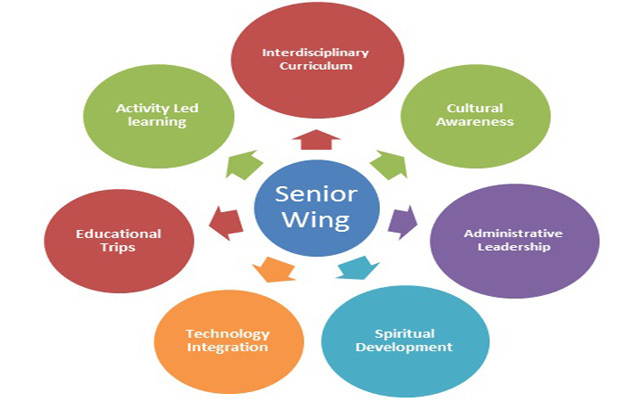 Learning is oriented through number of activities, projects, social service activities and variety of international programmes. 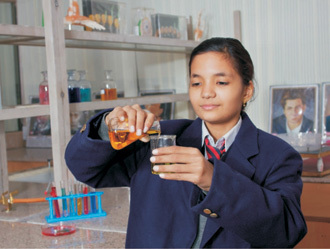 The children are exposed to various science based activities like Germination, Evaporation and experiments based on the concepts like Water Cycle, Fine Senses, Gravity Magnets and Colours. 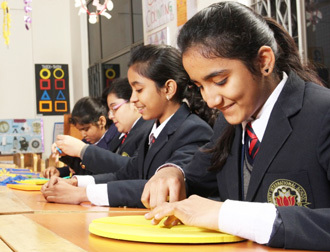 This helps the children understand different concepts through experiments and acquire knowledge using their sensory skills. 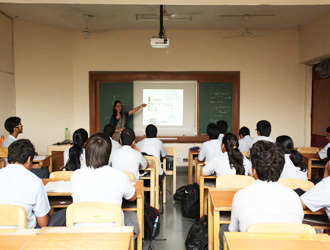 To enhance learning experience, technology is integrated with in curriculum. 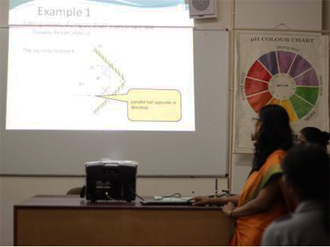 Teachers use presentations, simulations and virtual labs. 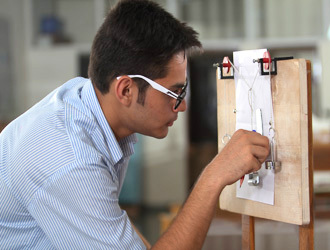 These help the children to grasp the concepts in a better way through visual and audio effects. 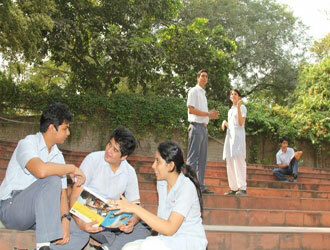 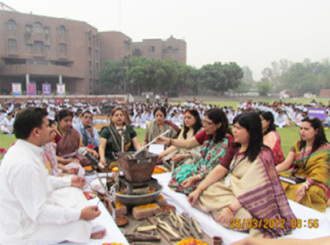 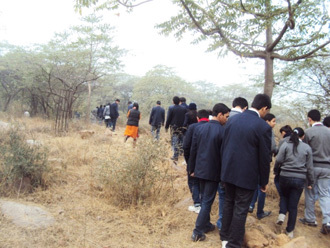 The school authorities, on regular intervals, organize Hawan in school. 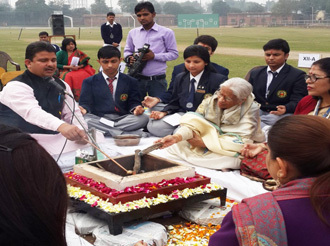 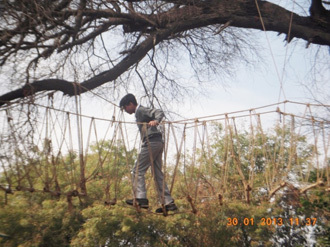 The children are made aware of the different Vedas, Moral Values and Mantras. 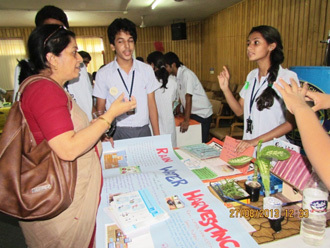 Interdisciplinary Curriculum integrates one or more disciplines to examine a central theme, issue, problem topic or experience through a variety of activities / experiments. 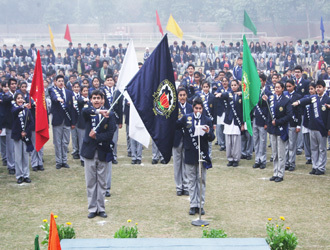 Students learn to shoulder responsibilities and be effective leaders as Head Girl / Head Boy, House Captains, Vice Captains, Cultural, Literary and Sports Secretaries and Prefects. 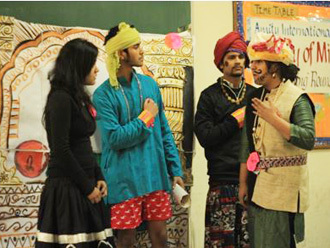 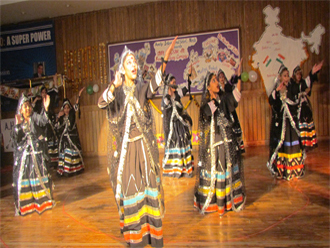 Cultural Education forms an important part of a broad and balanced curriculum. 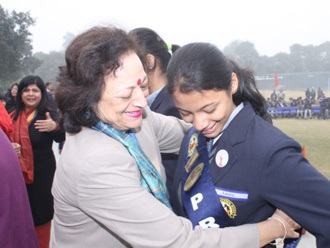 This is achieved through a variety of programmes like Art education, visits to museums, exchange programmes and International events like Odyssey of the Mind, World's Scholars Cup, Model United Nations.